Butter from grass-fed cows is much higher in Omega-3 fatty acids and vitamin K2, compared to butter from grain-fed cows (see here.) Additionally, when cows also graze from organic grasses it produces greatly reduced toxins, and healthier byproducts. 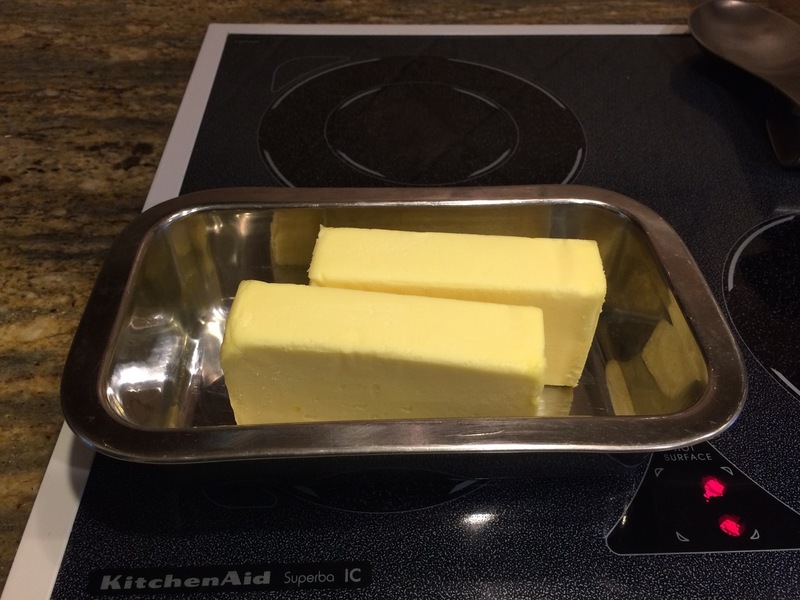 Butter used to be considered unhealthy because it contains saturated fat, however science has now shown that it is the omega 6, genetically modified fats that cause cellular inflammation, so butter is back in our diets! Most organic pastured butter is made from the cream of milk from cows grazing on fresh May-through-September organic pastures. 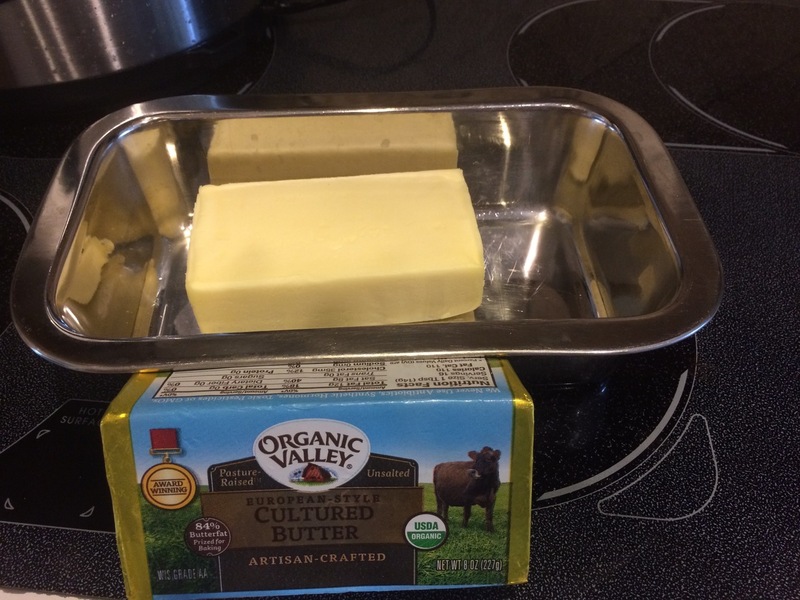 Pasture butter is churned longer than other butters, lowering the moisture content, and increasing the fat content to 84% butterfat, compared to regular butter which contains 80%. The only ingredient in ghee is organic non-homogenized milk. Grass fed organic ghee offers all the wonderful flavors of butter, but with the shelf life of cooking oils. 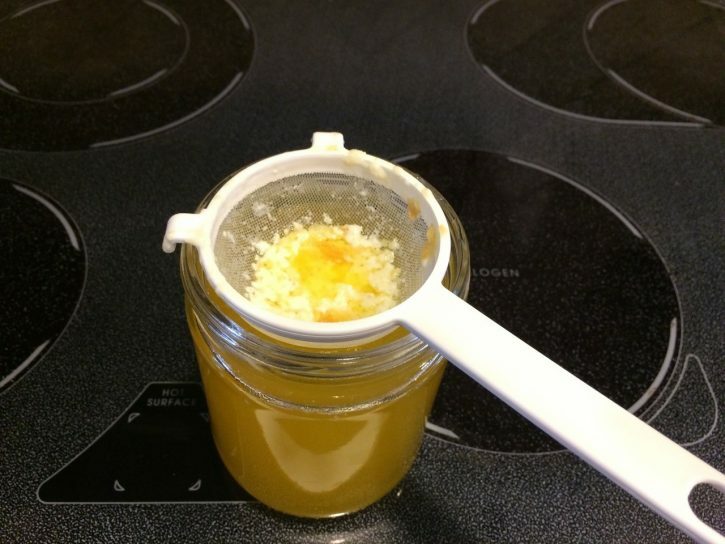 Ghee is gluten-free and provides healthy fats, a variety of practical cooking applications, and the buttery taste you love on your favorite foods. 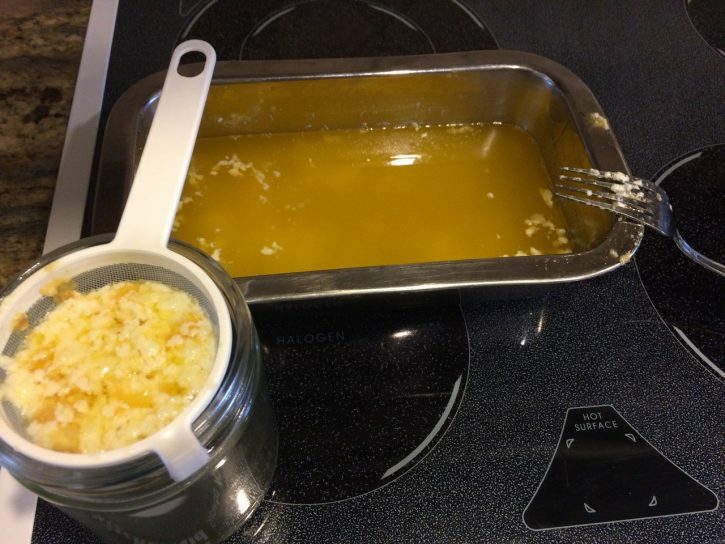 Ghee—also known as clarified butter—a staple in traditional Indian cooking and Ayurvedic medicine, is made through a simple process of boiling butter and then pouring off the butterfat, leaving behind the proteins (casein and whey) and the milk solids (which includes lactose). 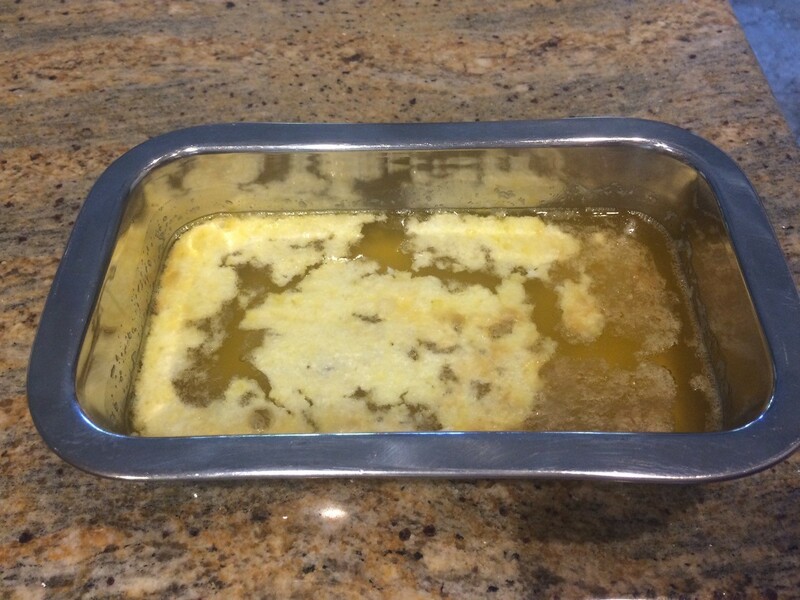 The old-fashioned process of creating traditional clarified butter is a bit different than ghee in that clarified butter requires boiling the butter until the water is evaporated and the fat (clarified butter) is separated from the milk solids. 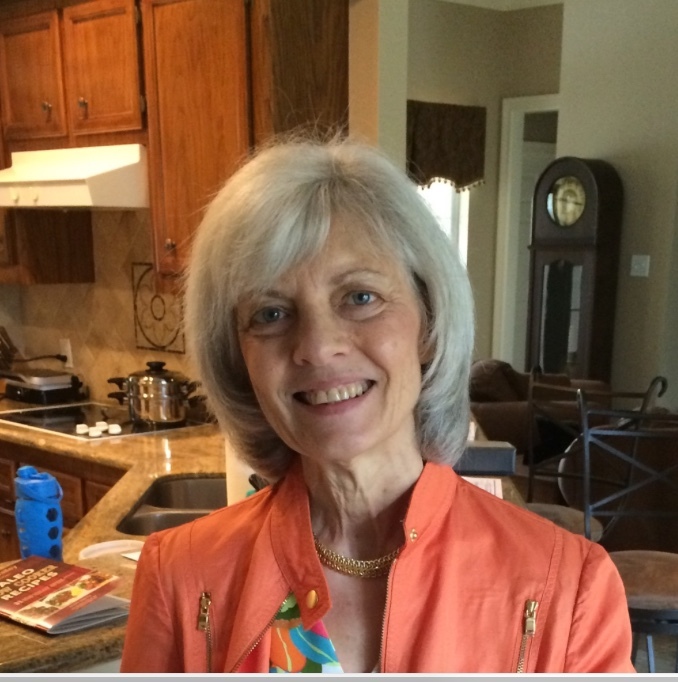 However, to produce a sweet product at home there is a much simpler process that I have found which includes simmering the butter, filtering it, and thereby producing a nutty-tasting—aromatic super healthy fat to enjoy and cook with. Step 2: Cook on 250 degrees for approx 1 hour. Step 4: Scrape the large pieces of milk solids off of the top with a fork and discard. Step 5: Strain (I’m loving this set from Amazon) the rest of the ghee into a clean recycled jar 🙂 and refrigerate. 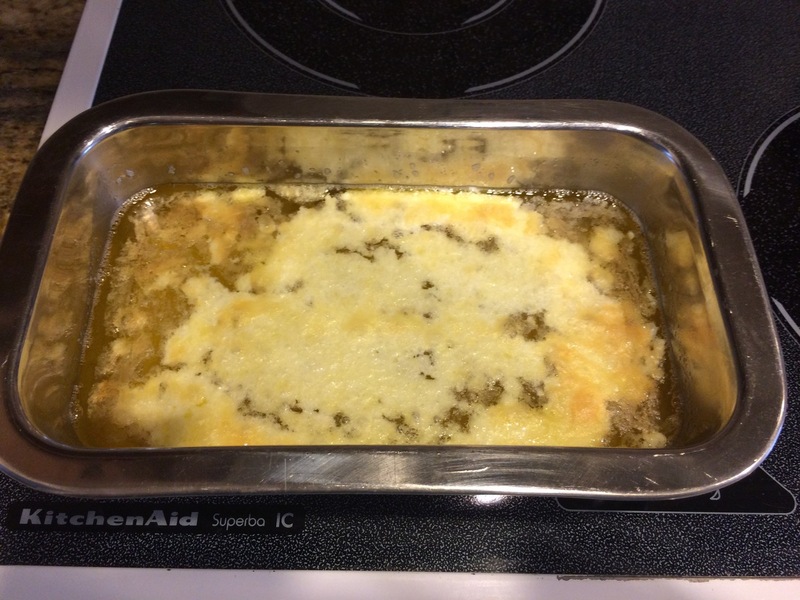 The ghee is easiest to work with when it has cooled sufficiently, but does not begin to thicken too much. This is so simple I’m not sure why people buy ghee! Enjoy!